Orthodontic Specialists of Florida is a leading provider of orthodontic care in the state. We are committed to giving you and your family an exceptional patient experience of high-quality, affordable orthodontic care. 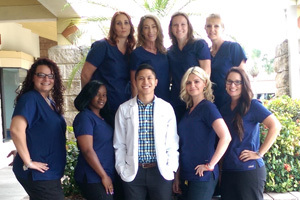 Our Bradenton, Florida office is conveniently located for all of your orthodontics needs, and our staff is dedicated to helping you feel comfortable during every appointment. Dr. Dau is an experienced specialist in the field of orthodontics, and we look forward to having you as part of our family. We offer silver, gold (24ct gold plated), clear and ceramic braces, as well as Invisalign®, at our Bradenton, Florida office.